please notify the webmaster and he will check them out for possible additions here. provides MSF "Basic RiderCouse" by H-D certified coaches. (see details on their site). 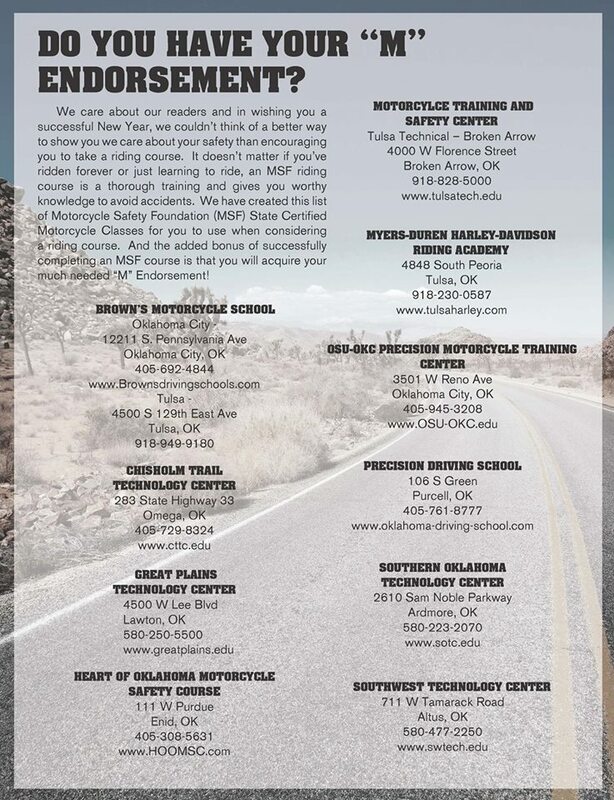 The following is a page that was shared by Thunder Roads Magazine of OK and AR. Thanks "T" and her team!